Vivanco launches huge range of Aircoustic headphones | What Hi-Fi? There's a Travel section, with folding, noise-cancelling and noise-isolating options, a Sport section with clip-on and waterproof headphones, plus a Fashion section, with a selection that presumably looks the part. A Freedom section for wireless 'phones and a less-imaginatively titled General Use section, complete the standard array of options. 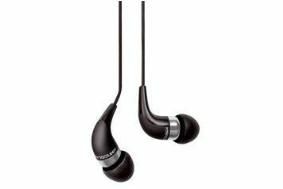 The Metal Profile includes metal-housed in-ears, while the wood-focused In-Ear Speakers range and the Studio Monitors section complete the extensive line-up of headphones. The Vivanco Aircoustic range will be in stores from October with prices varying from £7 to £80.